Cydia has just received another major update in version 1.1.23, bringing in some of the most requested new features along with bug fixes. Full changelog along with instructions on how to update it on your device are detailed below. With Cydia 1.1.23, you can now not only downgrade packages to the last stable release with ease, but also to any previous version of the same package as long as it is available in the repository. So from now on, whenever an update to a tweak causes issues, you can simply downgrade back to the older version by tapping on Modify->Downgrade from the tweak’s page on Cydia, as can be seen in the screenshot below. 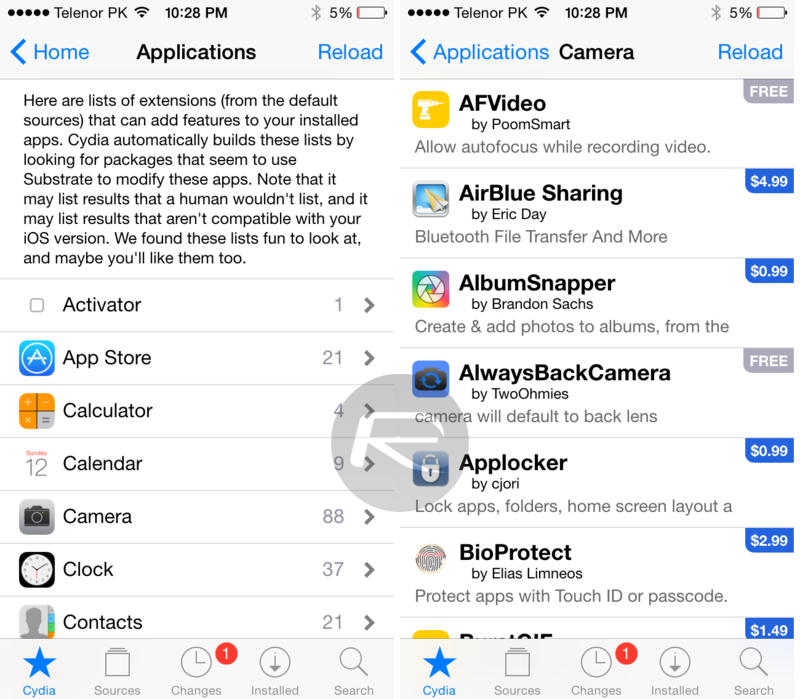 The Second major feature added to Cydia today is tweaks discovery feature which is actually inspired by TweakHub. On the main Cydia page, you will now find a new option for “Find Extensions for Applications” which will basically present you a categorized list of all the possible Cydia Substrate based tweaks available in Cydia to customize or enhance the stock or App Store apps installed on your iPhone or iPad. To update Cydia to version 1.1.23 on your already jailbroken device, Simply launch Cydia, tap on Changes tab and hit Refresh button on the top left corner. Wait for the packages to reload. 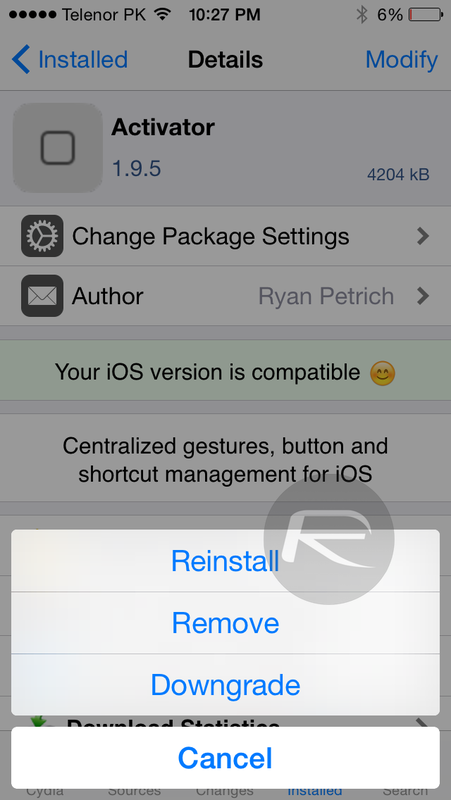 Once packages are refreshed, search for Cydia Installer package and update to version 1.1.23. 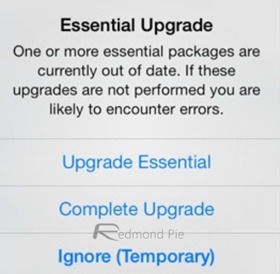 Alternatively if Cydia prompts you with “Essential Upgrade” message on initial load, you can simply tap on “Complete Upgrade” to upgrade your device to the latest version of Cydia. 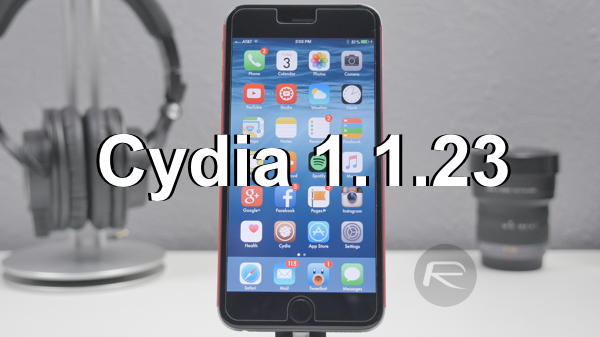 The last major release of Cydia was version 1.1.19 which was released over a week ago, followed by minor updates in 1.1.20 and 1.1.22. With Cydia literally getting a hundred times better in the past few weeks, what do you guys think about all these new updates? Sound off in the comments section below. Wow, never seen so many updates from a jailbreak, then Cydia, then jailbreak, then Cydia. I for one am very thankful!! It means that there are some great people out there trying there best to provide an AWSOME jailbreak experience!! Thank you ALL who make jailbreaking possible!! I love iPhones, but absolutely would not own one if I couldn’t jailbreak it and take advantage of the amazing tweaks created by some of the most brilliant minds in the world!!! 100% agreed. Couldn’t have said it better myself. Still waiting for that Mac version of TAIG yo! Does the latest cydia update support CyDown 5.9.2 or any cydown version?? What souRce are you downloading cydown from? Cause I downloaded mine from the bite apple repo and it’s working fine. What’s really neat about the new “Find Extensions for Applications” section on the Cydia main tab is that it shows you tweaks for what Applications you CURRENTLY have installed on your device. That’s super nifty. I’m using free-unlocz for unｌｏcking my iphone 5, the phones were fine for some time but than it was just advantageous to two weeks than was bricked.Do you think its normal? No i could maybe not beleive that sht i tought.. Than i saw an article on twitter There were fineSo thank you for the knowledge to use ATiPhoneunｌｏcking, the telephone which they have unｌｏcked is functioning since 8 months without issues. I bet they they are the most effective factory unｌｏck website.